Peru has recently become a Newton partner country with the launch of the Newton-Paulet Fund. This government-level partnership will allow researchers from both countries to work together to promote science and innovation that contributes to economic development, improves the quality of life in Peru and strengthens ties to face future global challenges. Biodiversity and the unique geography of Peru. Calls for proposals will be soon launched and promoted by Concytec via its Cienciactiva research funding initiative. For more information, please visit the Newton Fund. Categories: Funder Intelligence and Policy | Tags: international, Newton Fund | Permalink. The Arts and Humanities Research Council, various humanities funding organisations and the European Commission are pleased to announce a new €20 Million Joint Research Programme (JRP) for arts and humanities researchers in Europe. The research programme will fund new and exciting humanities-centred projects involving researchers from four or more participating countries. Proposals can be up to €1 Million in value, and 24-36 months in duration. The deadline for the submission of Outline Proposals is Tuesday 24 October 2017. For more information, please visit the AHRC and HERA. Categories: Funding Opportunities, Researchers | Tags: Art, Humanities, international | Permalink. Fight for Sight, the UK’s leading charity dedicated to funding pioneering research to prevent sight loss and treat eye disease, is inviting applications for the awards described below. Applications are invited for Project Grants of up to £170,000 for three years, or pro rata for projects of shorter duration, to start in October 2018.These projects are for clinical and non-clinical scientists, and cover all fields of ophthalmic and vision research. Applications for Project Grants are initially by Abstract to be received not later than 5 pm on Wednesday 1 November 2017. This year, Fight for Sight has partnered with numerous other charities to investigate specific areas within eye disease research. These grants of up to £15,000 last for one year Application deadline is 23 August 2017. Applications are invited from PhD supervisors for PhD studentships of up to £100,000 to support the training of graduate students, to start in October 2018 for three years. Students may be selected following the award. Application deadline is 30 August 2017. For more information, please visit Fight for Sight. Categories: Funding Opportunities, Researchers | Tags: Health | Permalink. 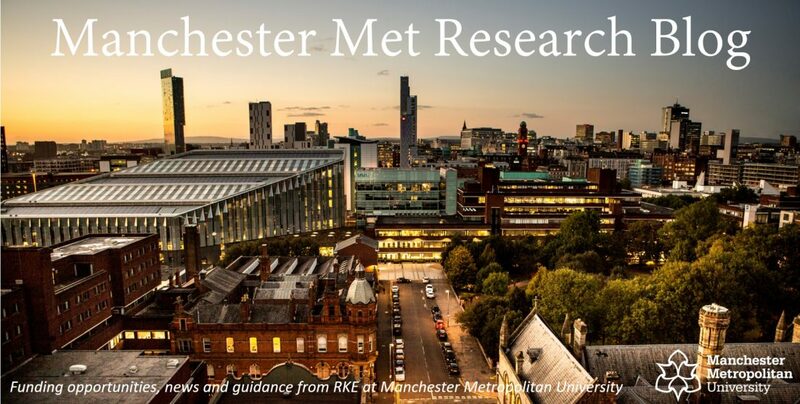 The North West Research Design Service will be holding an information event for academics interested in applying for NIHR funding on the 12 October 2017, 9.30am-3.00pm. The event will take place at The Storey Institute in Lancaster. you are prepared to discuss your idea with an RDS adviser. To register your place please book on the Eventbrite page here. For further information on the event, including the programme, please visit the RDS website here. Applications are open now, and will close at midnight on 22 September 2017. Grants will run from January 2018 to the end of September 2018 and In this first round of funding we anticipate that up to 20 grants will be awarded across the UK. Further information on the funding call can be accessed here http://www.bbc.co.uk/programmes/articles/38JW42Ps0Tv7T0xGht7Bww1/about-the-fund . Please contact your Research Development Manager for further information and support. From 25 July 2017 a New Investigator Award scheme will replace the First Grant initiative. The New Investigator Award scheme will remove some of the current restrictions and will help improve the quality and ambition of research proposals submitted, recognising that different projects and new investigators have different needs. For more information, please visit EPSRC. The eligibility for the NERC New Investigator scheme has been amended. Applicants must now be within five years (as opposed to the previous three) of first becoming eligible for NERC funding as a Principal Investigator. This applies from January 2018. Categories: Funder Intelligence and Policy, Researchers | Tags: Early Career, EPSRC, NERC | Permalink.